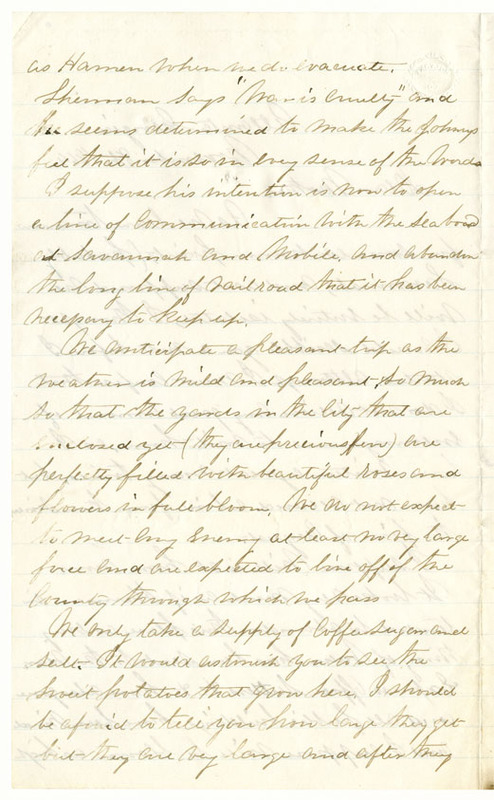 On September 1, 1864, Atlanta, Georgia was captured by the Union Army. 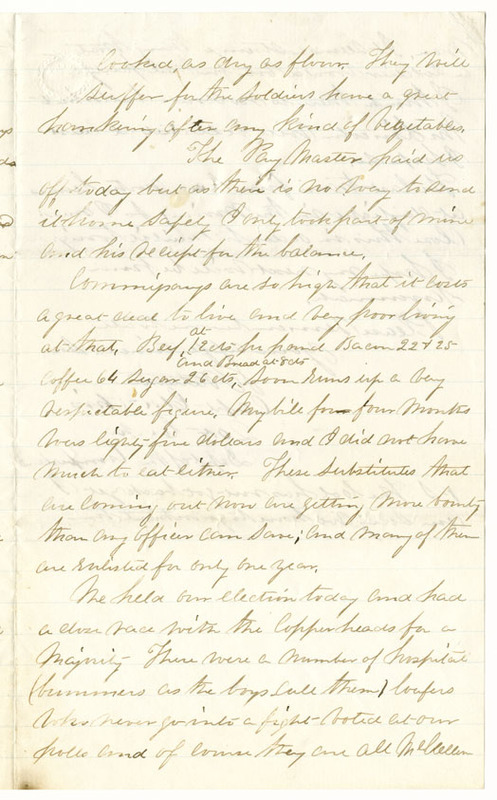 Since that date, the Union Army has remained at Atlanta awaiting word on their next objective. 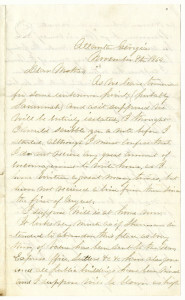 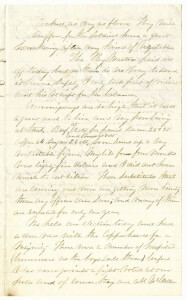 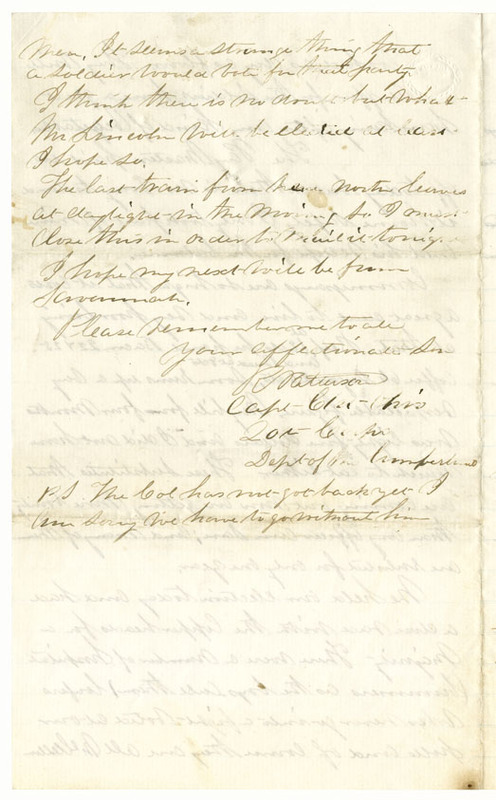 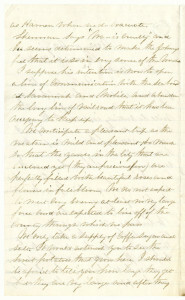 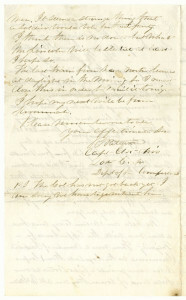 This is the last Civil War letter from Robert Patterson in the Patterson family papers. 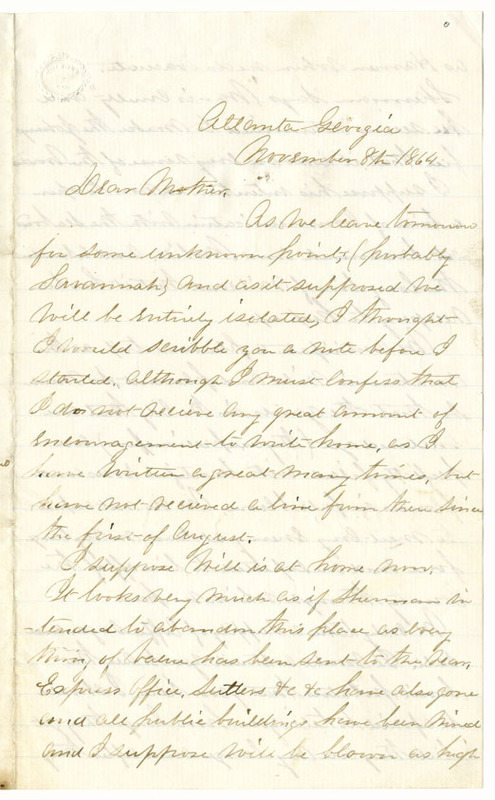 Transcript of Robert Patterson letter, November 9, 1864.